If you're a Steve McQueen fan, you won't want to miss this film. The story about Steve McQueen making his dream movie Le Mans complete with never-before-seen footage from the film and behind-the-scene outtakes that any movie fan can appreciate. The film cronicles the struggles and tormoil of the process McQueen went through during the making of Le Mans, which ultimately produced a film that opened to mixed reviews from critics and movie goers. We attended the premiere in Hollywood last night, and had a very good time. 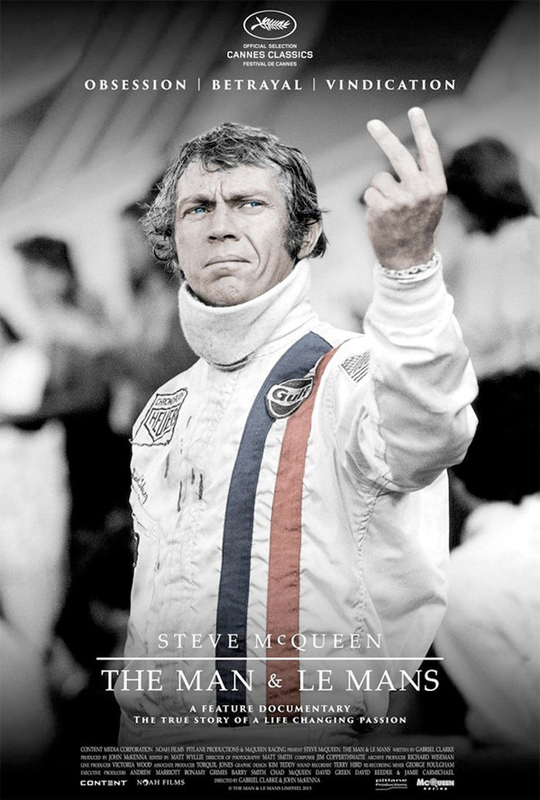 Check out the preview to get a taste of what you can expect from Steve McQueen: The Man & Le Mans.